Today (10 August) is World Lion Day and the Daily Express has produced 10 facts about lions. 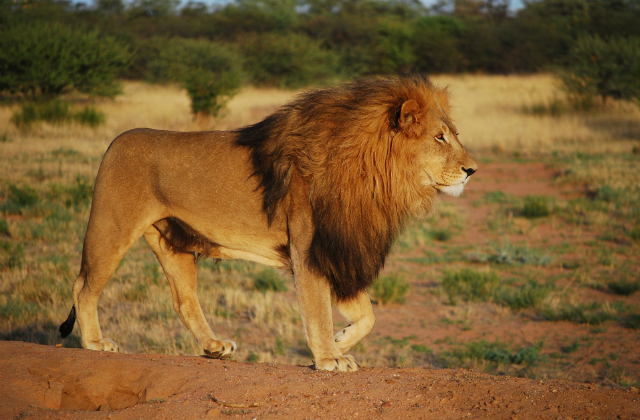 The newspaper reports that in the last 30 years, the number of lions in Africa has halved. It is now about 34,000. The UK Government is spending £26 million on combatting the Illegal Wildlife Trade between 2014 and 2021. 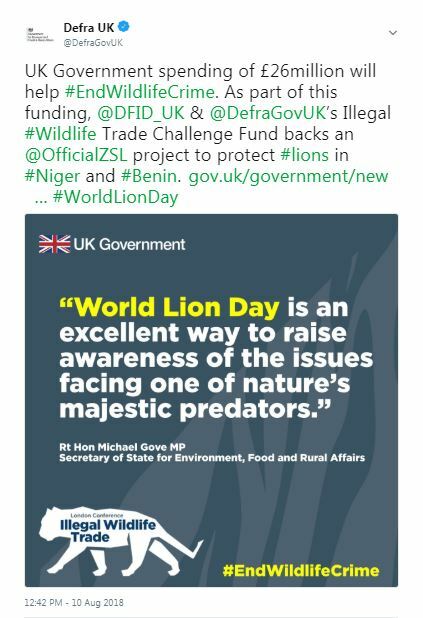 As part of this funding, the Illegal Wildlife Trade Challenge Fund, administered by Defra, is spending £387,000 on a project in Benin and Niger to protect lions and elephants. This project will provide training and mentoring for enforcement agents and protected area staff, and will also work with local communities to engage them with efforts to tackle the illegal trade in wildlife in West Africa. These priorities reflect commitments on tackling the illegal wildlife trade in the 25 Year Environment Plan. World Lion Day is an excellent way to raise awareness of the issues facing one of nature’s majestic predators. We are working hard to end the illegal trade in wildlife and to protect iconic species such as lions. The Illegal Wildlife Trade Challenge Fund shows our global leadership in protecting wildlife in its natural environment. In October, the UK will host a fourth international conference on the illegal wildlife trade, which will bring global leaders together in London to work with other nations to stamp out this vile trade.